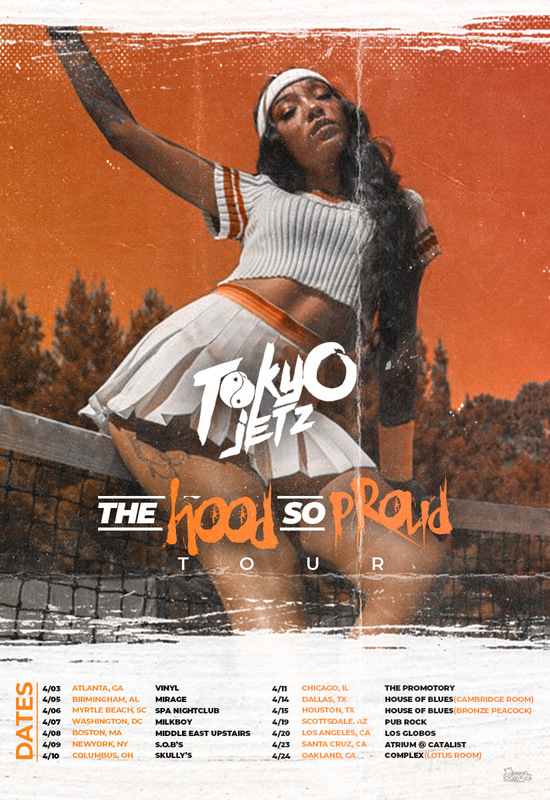 After completing a 30-city nationwide tour with her Grand Hustle label mates, and having recently wrapped touring with Kevin Gates, rapper and songwriter Tokyo Jetz ventures away from from the pack and embarks on “The Hood So Proud” tour, her first multi-city tour starting April 3rd in Atlanta, Georgia at Vinyl. Shortly after signing to T.I.’s Grand Hustle, Tokyo Jetz released her debut project Bonafied, which has streamed more than 37 Million streams to date across all platforms. Catch Tokyo Jetz performing at a city near you! FOR MORE INFORMATION CONTACT TREMEDIA @ 646 553 5203 OR TRESA SANDERS VIA EMAIL AT TRESA@TRE-MEDIA.NET.